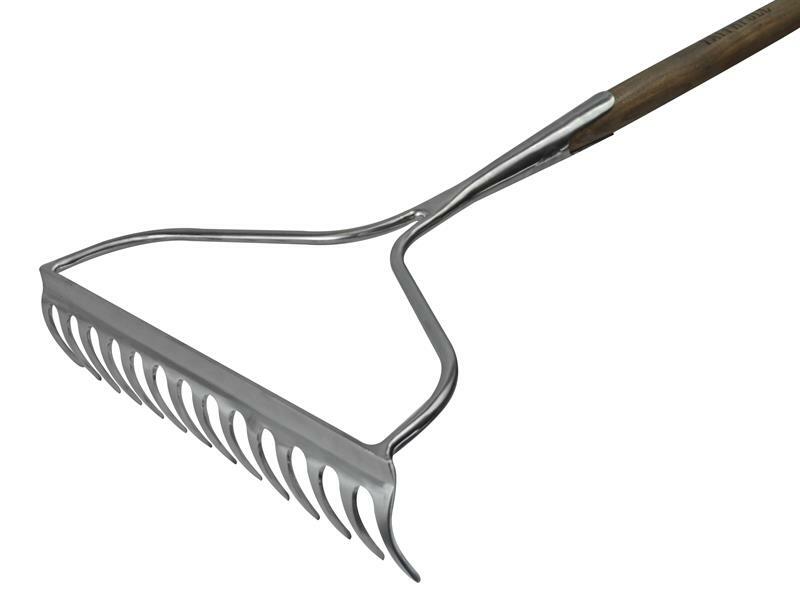 The Faithfull Prestige Garden Rake has 14 strong metal tines and strong bow head support, made from rust-resistant stainless steel. 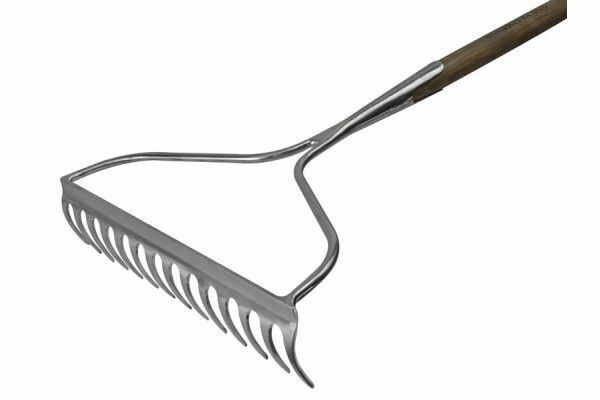 Polished stainless steel finish provides improved resistance to rust, humidity and alkalis in the soil. Ideal for loosening soil, levelling earth and gravel, collecting weeds and disregarded undergrowth, as well as moving larger pieces of debris from the borders.